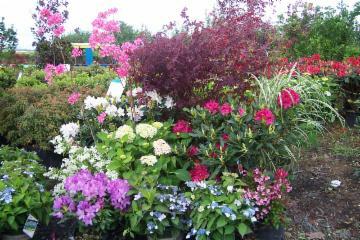 We have a very large selection of Evergreen, Flowering ,Fruit and Ornamental shrubs of all sizes, specializing in deer resistant varieties. 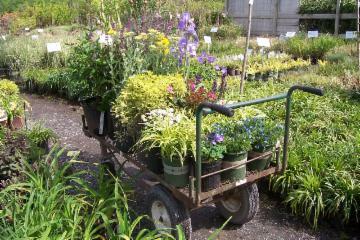 Some of our top selling plants include Mt. 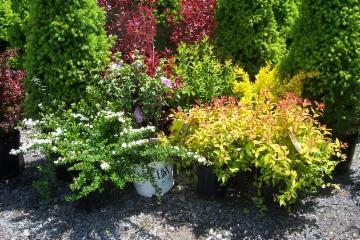 Fire Andromeda, Crimson Pygmy, Rosy Glow & Golden Barberry, and Boxwoods including Wintergem, Wintergreen, Green Beauty, Green Mountain, Upright and Dwarf English. 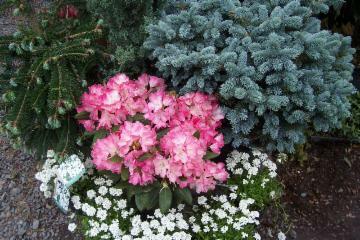 Other top selling shrubs include Gold Thread Cypress, Dwarf Alberta Spruce, Mountain Laurel, Rhododendron, Junipers, Azaleas, Holly, Burning Bush and much more.